Aerovent Australia can design and manufacture forced draft SWSI centrifugal fans for burner systems. These fans are designed to provide stable, pulse free airflow and constant pressure. Depending upon the application the use of inlet guide vanes, variable speed drives or volume control dampers may be required. 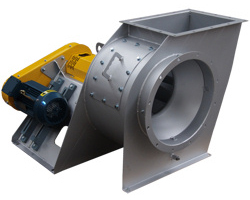 Fans are heavy duty construction and can be designed to suit specific application requirements.